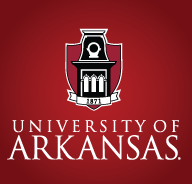 IRVING, Texas – As part of the National Football Foundation Faculty Salutes, presented by Fidelity Investments, the National Football Foundation will present Sharon Hunt, the faculty athletics representative for the University of Arkansas, with a commemorative plaque and the school with $5,000. 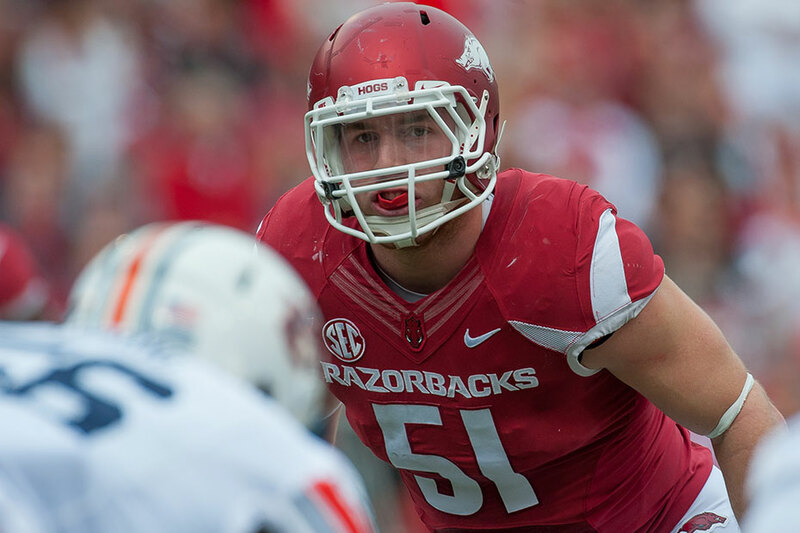 Arkansas and Hunt are being recognized for their efforts in fostering excellence among student-athletes as exemplified by 2016 NFF National Scholar-Athlete Brooks Ellis. The presentation will take place during a ceremony at 11 a.m. this Saturday, April 29, in the East Indoor Club at Donald W. Reynolds Razorback Stadium. Arkansas' Annual Red and White Spring Game will follow the ceremony at noon. "Dr. Sharon Hunt has been a critical liaison between academics and athletics at Arkansas," said Steve Hatchell, president and CEO of the National Football Foundation. "We are proud to join with Fidelity Investments in highlighting her role in ensuring that Razorback student-athletes have an educational experience that prepares them for success long after their playing days in Fayetteville." Since 2011, the NFF has partnered with Fidelity Investments, a leading provider of not-for-profit workplace retirement savings plans in higher education, to recognize the contributions of the faculty athletics representatives at each of the schools with an NFF National Scholar-Athlete. As part of the partnership, the NFF presents each of the FARs with a commemorative plaque, and Fidelity Investments donates $5,000 to support the academic support services for student-athletes at each school. Since the program's inception, the NFF has recognized individuals 88 different times, and Fidelity has made donations of $440,000. "In her role as faculty athletics representative, Dr. Hunt serves our institution, athletics program and makes a meaningful difference in the lives of our more than 460 Razorback student-athletes," said Jeff Long, vice chancellor and director of athletics for the University of Arkansas. "We are appreciative of her ongoing commitment to fostering the academic growth of all of our student-athletes on their way to graduation, including 2016 NFF National Scholar-Athlete Brooks Ellis. We are also grateful to the National Football Foundation and Fidelity Investments for recognizing Dr. Hunt's outstanding work and celebrating the overall academic excellence of Razorback student-athletes." Hunt has been a faculty member at Arkansas since 1990 and currently serves as a professor of kinesiology. She previously served as head of the department of health science, kinesiology, recreation and dance and was the interim dean for the College of Education and Health Professions during the 2000-01 school year. In 2010, Hunt became the first woman and non-lawyer to hold the post of faculty athletics representative at Arkansas. In her role as the representative, she works closely with the athletic department and the student-athlete advisory council and represents the university at various SEC and NCAA meetings. A high school athlete, Hunt's involvement with collegiate athletics dates back to her own college days at Arkansas when she played extramural sports prior to the enactment of Title IX. After receiving her bachelor's and master's degrees in physical education at Arkansas, she went on to earn a doctor of education degree from the University of Georgia and joined the faculty of the University of Kentucky for 13 years. Arkansas was represented in the 2016 NFF National Scholar-Athlete Class by Brooks Ellis, who maintained a 3.82 GPA as a pre-professional exercise science major with a minor in biology. The two-year team captain became the first two-time Academic All-American in program history and was named the 2016 SEC Scholar-Athlete of the Year. As a senior, Ellis led the Razorbacks in tackles during the regular season for the second straight year with 78 and also recorded a team-high 7.0 tackles for loss. Off the field, the NFL draft prospect was named to the SEC Football Community Service Team and was a finalist for the 2016 Wuerffel Trophy. The NFF National Scholar-Athlete Awards, presented by Fidelity Investments, were established in 1959 as the first initiative in history to honor scholar-athletes with postgraduate scholarships for their combined athletic, academic and leadership abilities. The program currently provides each member of the class with an $18,000 scholarship, distributing approximately $300,000 each year to the nation's top scholar-athletes. Each year at the NFF Annual Awards Dinner in New York City, one member of the class is declared the winner of The William V. Campbell Trophy, presented by Fidelity Investments, as the top football scholar-athlete in the country and has his scholarship increased to $25,000. In 2011, Fidelity Investments became the first official sponsor in the 57-year history of the program, which has awarded more than $11.1 million to 828 individuals since its inception. At the start of the 2014 season, Fidelity also became the presenting sponsor of the Campbell Trophy, college football's premier scholar-athlete award.